Vblank has been busy. 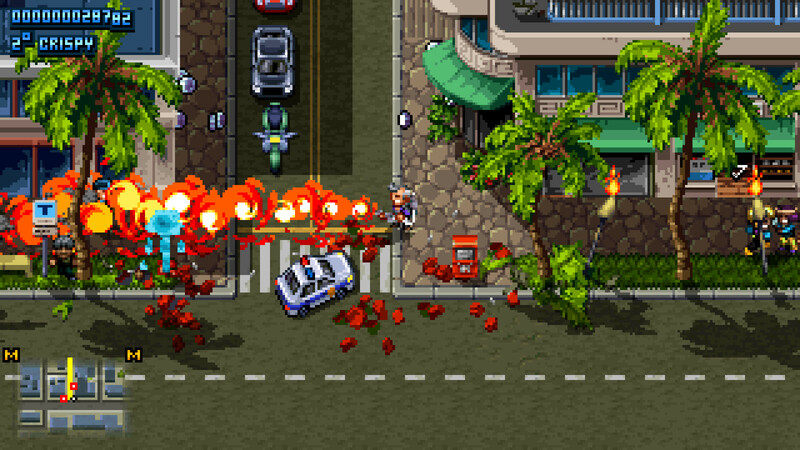 After Retro City Rampage brought top-down retro open world exploration back into the fold, the studio has been hard at work on the follow-up: Shakedown: Hawaii. It was revealed three years ago and still hasn't been released, amid several new developments like Epic Games Store exclusivity for PC. Shakedown boss Brian Provinciano even shot us over another update earlier today, and this one is promising: "After many years and much, much more content than originally planned, Shakedown: Hawaii's finally in console certification. I'll have an actual date soon, and let you know when I do." Certification? As in, the game is basically done (with "more content") and just needs to be approved by publishers? Sounds good to me! You can get a look at what is presumably the final build by way of a new trailer below. There really needs to be more of these Smash TV/OG Grand Theft Auto-likes out in the wild.